Simply enchanting this vintage crystal headpiece is full of heirloom glamour. Dress up your wedding hair with enchanting romance. 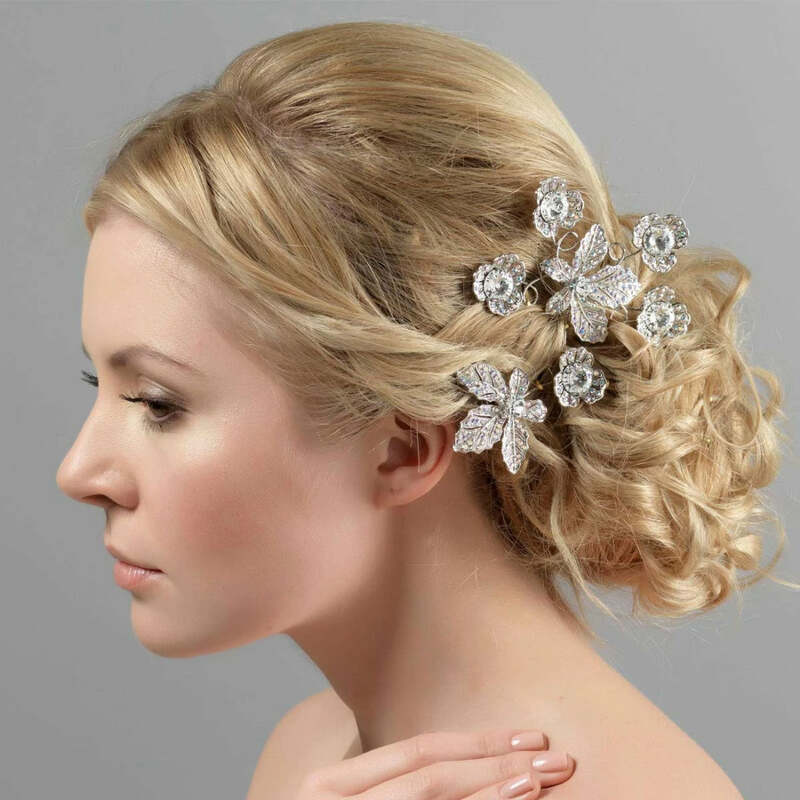 Adorn your hair with sparkling romance and elegance with our Vintage Statement Headpiece. 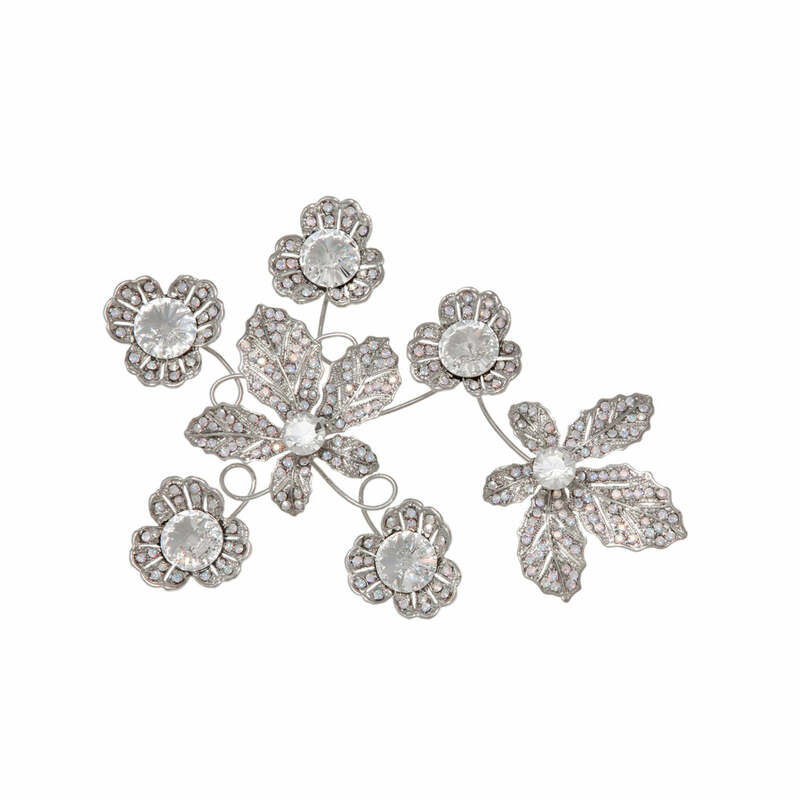 Featuring enchanting flowers with clear Austrian crystal centres and leaves studded with iridescent petite AB crystals, this sensational hair accessory is a statement piece full of vintage charm. Brides who adore timeless wedding headpieces laced with feminine beauty will fall in love with this antique inspired treasure. With loops on the underside for securing to your hair with kirby grips, Vintage Statement is an oh-so-versatile hair accessory. Wear trailing over the side of the head for a hint of 1920s glamour or pin above a 1940s inspired side chignon for classic, elegant style.